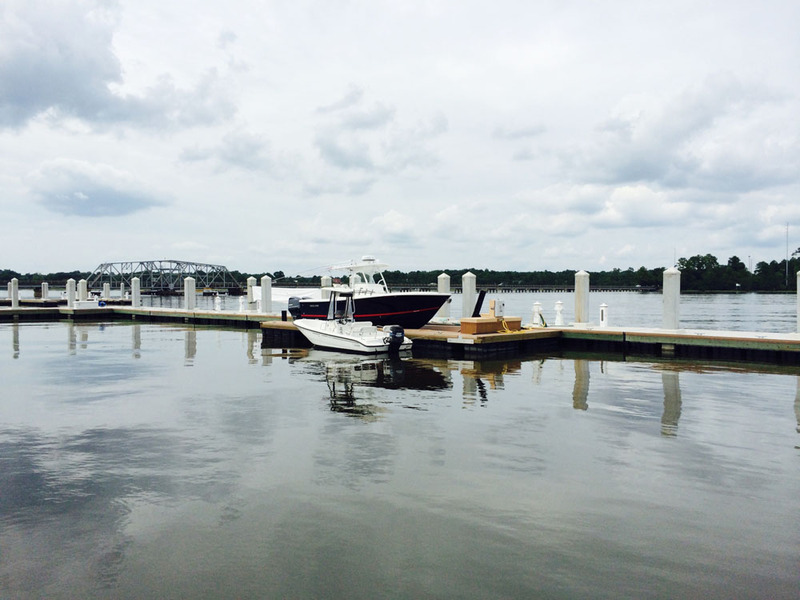 Boat owners love their boats and need to have a boat lift that makes it quick and easy to get in and out of the water. Preferably, they want one that can meet those needs AND keep their craft high and dry when not in use, thus keeping the boat away from the harmful elements in the water. 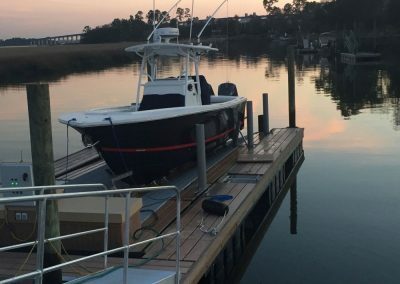 That is why the minds behind Sea Power Marine Products created an innovative new modular boat lift. The key to the lift is the custom-designed, submersible platform. The design makes it easy for the boat to be lowered from the dry dock position. 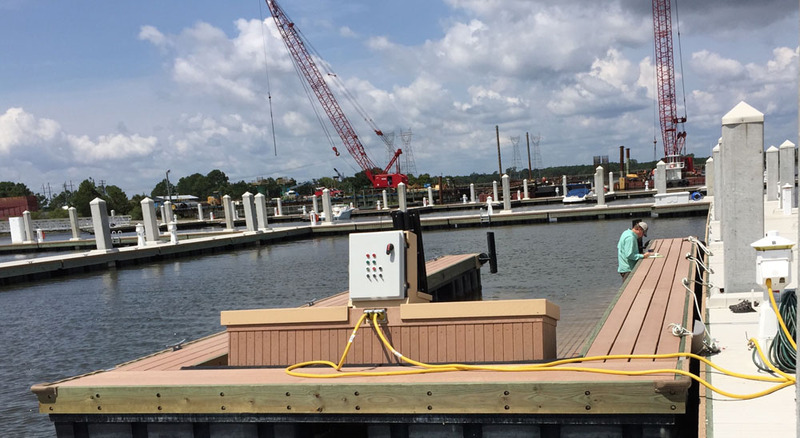 When returning to the dock, the three-sides of the lift block the current, so the driver can maneuver easily onto the platform. The boat can then be raised safely to the dock/catwalk level. This lift is built to make life easier on the crew loading the boat and the passengers heading out onto the water. Lowering the lift from its dry dock position, the submersible deck is able to lower the boat to the perfect height for gear to be loaded and for passengers to board the vessel. On return, once the driver pulls the boat onto the platform, passengers can unload safely and easily. The boat can also be raised for dry-docking, the hull can be sprayed down and maintenance can be done. Boating is expensive. There is a great investment in the boat and most of the items needed to enjoy this tremendous hobby. The Sea Power Marine Lift can raise the vessel completely out of the water. 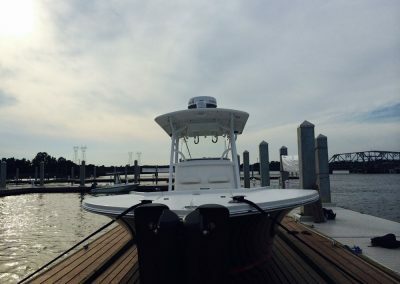 This makes for easier cleaning and maintenance, which are constant duties in a boater’s life. 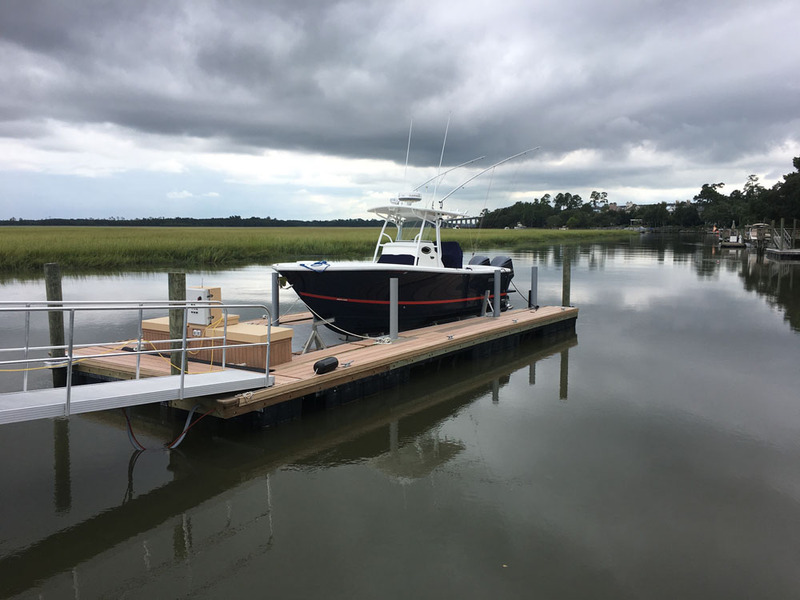 The ability to completely remove the boat from the water – especially saltwater – means the captain/owner will not have to paint the hull. Not having to paint and maintain that surface adds up to a nice savings over the years and is better for the environment. The designers also had boat owners in mind when they built it with the best products for durability and to last. The Sea Power lift is constructed to withstand harsh elements. 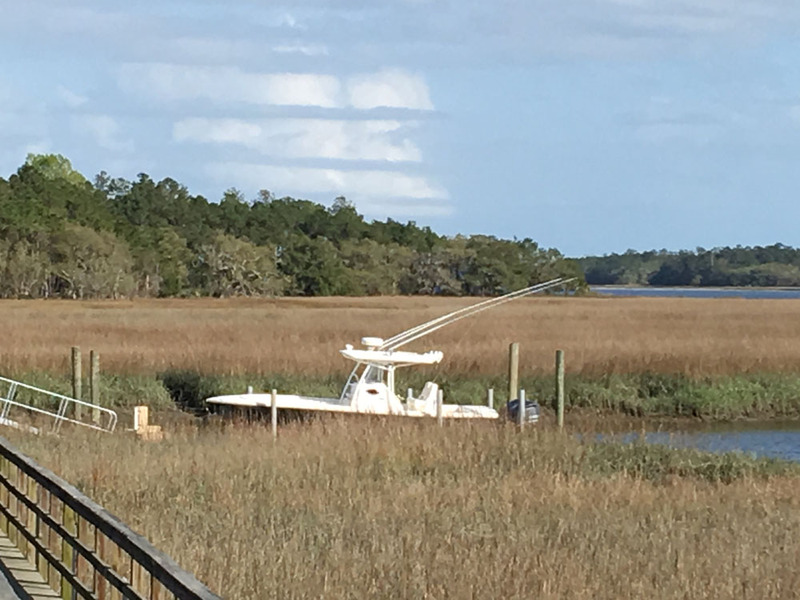 Older boat lifts often have parts that succumb to the elements or just wear out. The design behind the Sea Power line is to make it simple and strong, able to withstand the rigors of life on the water and easily repaired with replacement parts, if something were to malfunction. 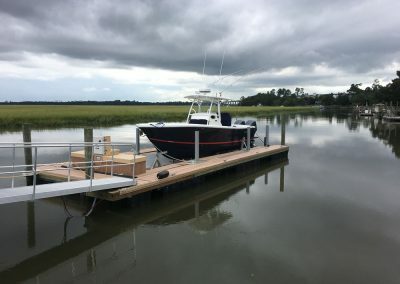 It is an accepted fact that having to paint the bottom will take 30% off the boats value immediately not to mention the cost of application and time not available for use. 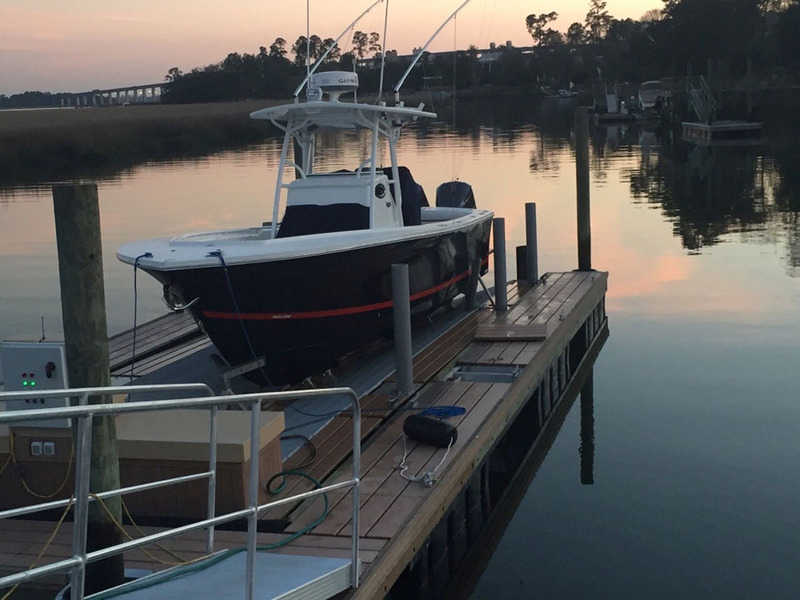 After studying the boat lift market, working with engineers and securing numerous patents, the Sea Power team quickly decided to create a modular lift, for several reasons. Families will often plan to start smaller and upgrade to a larger craft within a few years. Other boating families have multiple vessels and multiple ports. The lift can also be broken down and moved to another dock or shipped anywhere in the world. 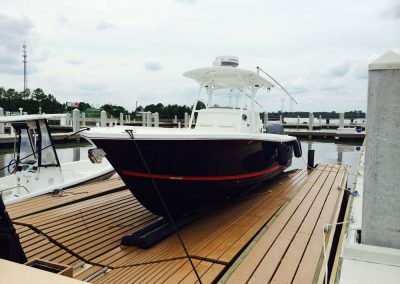 While the lift’s deck is designed to be gentle on a boat’s hull, the Sea Power Marine designers know that even practical elements must be balanced with style when it comes to the boating life. 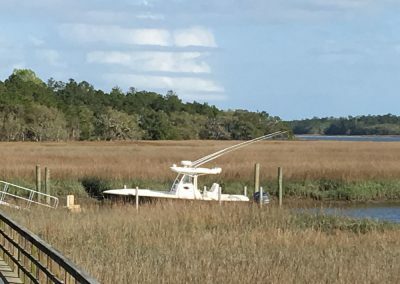 They know this because of having spent more than five combined decades on the waterways of the Lowcountry. With this in mind, the lift can be custom-designed in colors that match the boat and/or dock. “We strive to distinguish ourselves by building a better product,” is the motto behind the vision of the company leadership. 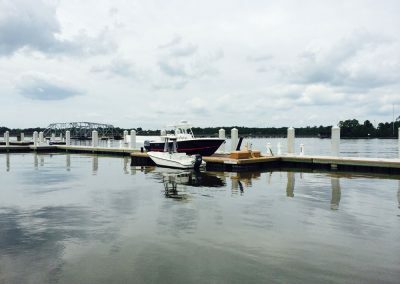 The team saw a need for an electric boat lift, a submersible boat lift and a floating boat lift all in one unique design. They also knew the lift had to be constructed of the best materials and in a way that it will grow with the typical boating family. 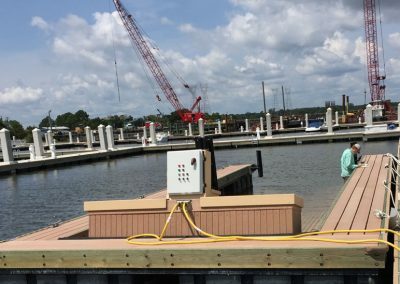 For more information on the Sea Power Marine Modular Boat Lift for your private dock, contact us here.